Trump is trying his best to ruin the song, and Pharrell won't let him. Pharrell’s “Happy” may have been written for the super villain infused “Despicable Me 2”, but real life awfulness is harder to stomach. When Donald Trump proved his lack of care for the Jewish community (along with every other community) by Tweeting about baseball hours after the Pittsburgh Synagogue shooting. He later also played Pharrell’s song “Happy”. Well, Pharrell will not allow a person who puts children in cages and supports Nazis the right to use his song, and has issued the president a cease and desist stopping him from using “Happy” at events. Pharrell’s letters can be seen below, and includes: “There was nothing ‘happy’ about the tragedy inflicted upon our country on Saturday and no permission was granted for your use of this song for this purpose.” Which is true. It’s good that Pharrell Williams stands with the victims of the tragedy and has more thought through on this than Trump whose use of the song gives off the impression that he doesn’t quite care about who passed away. We write you on behalf of our client, Pharrell Williams, composer and performer of the song “Happy”. On the day of the mass murder of 11 human beings at the hands of a deranged nationalist, you played his song “Happy” to a crowd at a political event in Indiana. There was nothing “happy” about the tragedy inflicted on our country on Saturday and no permission was granted for your use of this song for this purpose. Pharrell Williams is the owner of the copyright in “Happy”, with the exclusive right to exploit same. 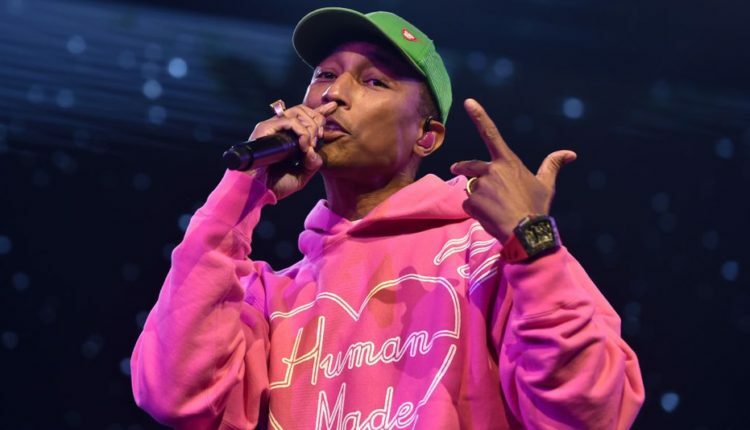 Pharrell has not, and will not, grand you permission to publicly perform or otherwise broadcast or disseminate any of his music. The use of “Happy” without permission constitutes copyright infringement in violation of 17 USC 501. This also violate Pharrell’s trademark under the Lanham Act. Good on Pharrell for doing much, much more than the president to show his allegiance with the Jewish community of Philadelphia. Yeesh. What is your take on this story? Let us know in the comments or on Twitter at @WhatsTrending.